The risk for pneumonia was slightly higher in recent benzodiazepine users compared with former users. Patients who either are currently or have recently taken benzodiazepines may have an increased risk of developing pneumonia, according to study results published in The International Journal of Geriatric Psychiatry. Using the PubMed and EMBASE databases, a systematic review was conducted of peer-reviewed observational studies examining the association between benzodiazepine use and the risk for pneumonia. 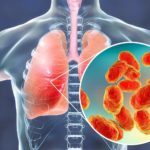 The primary outcome of interest was overall risk for pneumonia in the general population, comparing data from patients who had taken benzodiazepines with data from those who had not. Benzodiazepine exposure was divided into 3 groups: current exposure (within 30 days), recent use (within 31-90 days), and past use (beyond 90 days). Of the 3469 initial search hits, 58 full text articles were reviewed and 12 publications of 10 studies were ultimately included in the meta-analysis. These studies involved >120,000 cases of pneumonia. In the primary outcome, benzodiazepine use was significantly associated with increased risk for pneumonia in an analysis of all 10 studies. Furthermore, subgroup analysis showed that short- and intermediate-acting benzodiazepines were associated with a significantly increased risk for pneumonia, especially diazepam, lorazepam, temazepam, and zopiclone. Compared with the odds ratio in the individuals who had never taken benzodiazepines, the pooled odds ratio for the risk for pneumonia was 1.4 in current users and 1.38 in recent users, but 1.11 in past users. Although [benzodiazepine] use is associated with a small increased risk of pneumonia, the population-level impact of [benzodiazepine]-associated pneumonia is likely to be substantial given the large number of users,” the researchers wrote.